I'm so excited that starting today Step by Step, all 160 episodes, is available on Hulu. Streaming on iPhones, iPads androids, smart TV's ... Everywhere!! It is a very satisfying thing to finally be able to let all the wonderful fans of the Man from Atlantis take a peek inside my head and see what I was thinking over these many years about the history I envisioned for Mark Harris. This story came to me almost wholly formed. It played out in my mind like a finished film. It was a bit too linear so I went back every once in a while to keep the land based characters alive and up to date with the story. I apologize to all the characters from the original movies and 13 episodes that I had to omit with my account. The relationship of Dr. Merrill and Mark was the ‘seed’ for his questions finally being answered. I so hope everyone knows the respect I have for this starting line of my professional life. There are two more episodes of this trilogy that have sprouted along with this first one and only need blocks of time for me to put in writing. That depends a lot on how many actually want to follow this adventure of mine. If the interest flags the saga will always have a home within me. Like Mark says, “I am not alone”. 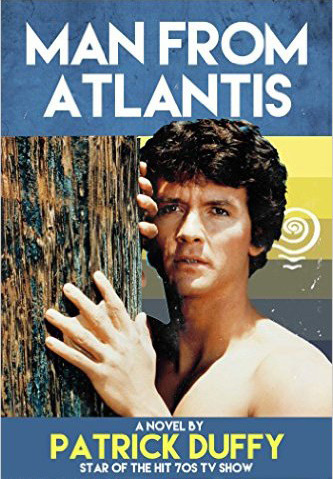 Patrick will be appearing at WonderCon on March 30, 2019 for a special panel on his Man from Atlantis series, and it's recent release on Blu-ray from Warner Bros. Click Here for more info. Last updated March 24, 2019.